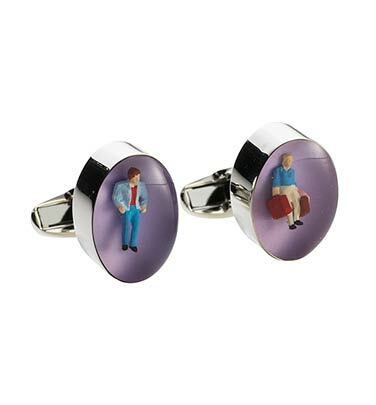 Paul Smith keeps on creating refreshingly quirky cufflinks, and we keep on lapping it up, just like this notable cufflink set with tiny traveling male figurines. Made out of 100% resin, these purple cufflinks are eye-catching, and most definitely a conversation piece. A perfect gift for frequent flyers or the worldly traveler who will appreciate the design. Available exclusively through David Jones. This entry was posted in Accessories, Cufflinks and tagged David Jones, Paul Smith. Bookmark the permalink.